Have You Or a Loved One Been Arrested While Driving Under the Influence? Call Us for DUI Bail Bonds! There might come a time when you’ve had a couple of drinks and you feel okay to drive. That one decision could get you arrested for a DUI and cost you driving privileges and money. If you or someone you love has been arrested for a DUI, you will need to call a professional bail bond agent immediately. 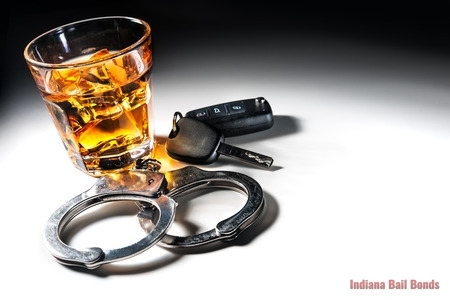 At Indiana Bail Bonds when you need DUI bail bonds in Avon and Indianapolis, IN, our team of experts are here to help. All of our bail bondsmen are licensed and can offer fast and reliable bail bond services to get you out of jail. Getting arrested for a DUI can be a stressful experience, but we are here to make the experience easier with our 24/7 service. Call us today at 317-423-9300 for DUI bail! If you need to be released from jail immediately, consider our emergency bail bonds. The cost of DUI bail bonds is determined by a number of factors. First, as a bail bond company, we don’t set the specific amount, either a bail schedule or the judge presiding over your case will make that call. When a judge decides on your bail amount, he or she will take many things into consideration. Was this your first offense? Was anyone injured? Do you have a history of criminal behavior? All of these things and other points will help the judge assign your bail amount. If you have the money to bail yourself out, our bail bond agents will work to get you out quickly. If you are unable to afford the amount of bail that is set, Indiana Bail Bonds can work with your family or friends on the bail bond process. We offer misdemeanor, felony, and other bail services that will be able to get you released from jail. For DUI bail bonds in Avon and Indianapolis, IN, call us today! When you need a bail bond company that you can trust, you can count on Indiana Bail Bonds. We offer honest and dependable service that will secure your release from jail in no time. We will always go the extra mile to work with you in order to get you out of jail and on with your life. We know this is a difficult situation, so we want to make it easier with our services. Please call us at 317-423-9300 to get DUI bail bonds now!